Malunggay is one of the most underestimated plants ever. In my household, for instance, we have malunggay tree in our backyard but we just use the leaves when cooking Laswa or Tinola. My mother's a Bicolana and I think she knows more than a dozen of dishes cooked with malunggay. I grew up eating malunggay so often that I got quite tired of it. Last Saturday, I got reintroduced to this plant that, unknown to me, has so many benefits. Imagine my surprise when I discovered that I was growing a wonder plant in my backyard! In the photo above are just some of Chrimi Malunggay Products. We were given sample sachets of each to take home. My husband and I enjoyed the Malunggay coffee and my son loved the Malunggay Choco. There is no malunggay aftertaste at all. This is a plus for me because my son seldom eats vegetables. Here I am with fellow bloggers Ria, Jennie, Betchai, Jane, and Rochelle. Aside from these, Michri Marketing, the company behind Chrimi Malunggay products, also manufactured Malunggay Hand and Body Lotion and Herbal Soap. The Body Shop is also featuring Moringa beauty products but the prices are way too expensive compared to Chrimi products. I was also given a sample of both lotion and soap and I like it. The lotion is non-greasy and has a very enticing scent. After learning about their products, we were also introduced to the vision of the company. The company envisions a supply chain social enterprise. This means that they aim for every Filipino to be empowered through the business and products they have now. It is a business that wants to produce business for others. If every Filipino is empowered with a sustainable livelihood, the desire to work abroad will never be a reality anymore. 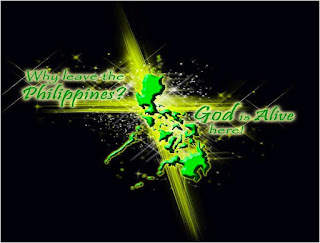 In fact, the company's battle cry is "Why leave the Philippines? God is alive here!" With a benevolent mission and products that are both healthy and affordable, the company will surely be able to reach its goals in no time. 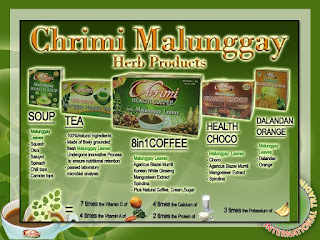 If you are interested in buying or selling Chrimi Malunggay products, you may want to check out this page. My hubby had a malunggay tree before. When it died, naku nalungkot! :( thanks for sharing this Mauie! I also was brought up eating Malungggay almost three times a day, not knowing anything about the beniffit until just recently. I thanked God that He provided medicinal plant for those who cannot afford to see a Doctor. malunggay is really a miracle plant. Filipinos are lucky because malunggay is so abundant here.